A Russian internet company with links to the Kremlin was among the firms to which Facebook gave an extension which allowed them to collect data on unknowing users of the social network after a policy change supposedly stopped such collection. Facebook told CNN on Tuesday that apps developed by the Russian technology conglomerate Mail.Ru Group, were being looked at as part of the company's wider investigation into the misuse of Facebook user data in light of the Cambridge Analytica scandal. Facebook told CNN that the Mail.Ru Group developed hundreds of Facebook apps, some of which were test apps that were not made public. Only two apps were granted an extension, lasting two weeks, that would have allowed them to collect friend data beyond the cut-off date, Facebook said. Senator Mark Warner, the top Democrat on the Senate Intelligence Committee, said in a statement to CNN that Facebook's relationship with Mail.Ru deserved further scrutiny. "In the last 6 months we've learned that Facebook had few controls in place to control the collection and use of user data by third parties. Now we learn that the largest technology company in Russia, whose executives boast close ties to Vladimir Putin, had potentially hundreds of apps integrated with Facebook, collecting user data. If this is accurate, we need to determine what user information was shared with mail.ru and what may have been done with the captured data," Warner said. Prior to 2015, in some cases, when Facebook users interacted with the apps built by third-party developers on Facebook, the developer not only received data about that user, but also about the users' friends — including name, gender, birthdate, location, photos, and what they "liked" on Facebook. In 2014 Facebook announced it was changing the policy, and would restrict developers' access to data on app users' friends by May 2015. But two weeks ago, Facebook told Congress that it gave 61 companies, including Mail.Ru, an extension on access to the data beyond May 2015. The admission came in a list of written answers Facebook provided to the House Energy and Commerce Committee. Ime Archibong, Facebook's vice president of partnerships, told CNN on Tuesday that Facebook had not found any evidence that the Mail.Ru Group had misused Facebook user data, but acknowledged that the investigation is continuing and would not answer if Facebook even has the ability to determine how the Russian company used data derived from Facebook. Facebook would not say how much user data the Mail.Ru Group obtained or if any data was obtained about American citizens. The company declined to elaborate on its methods for determining how Mail.Ru may have used personal data, citing confidentiality between Facebook and developers. Archibong said that Facebook was devoting significant resources to investigating app developers, but he wouldn't say if Russian-built apps were being prioritized for investigation over others. In a written statement provided to CNN after his interview on Tuesday, Facebook VP Archibong said, "Facebook is a global company with users all over the world so we work with developers globally to bring our services to people everywhere — as long as those developers adhere to our platform policies. 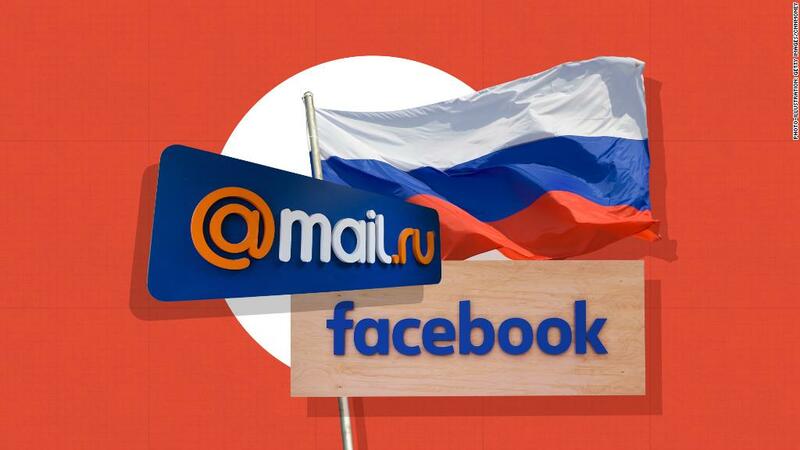 Mail.ru, one of the top five largest internet companies in the world, has built apps for the Facebook platform and for other major platforms, including iOS and Android for years. We've found no indication of misuse with Mail.ru. If we find misuse, we ban the developers." Mail.Ru told CNN that it had not been contacted by Facebook about its investigation into the misuse of user data. Facebook told CNN it had contacted Mail.Ru about the investigation, but didn't say when it first reached out. Mail.Ru Group is controlled by USM Holdings, a company founded by Alisher Usmanov, who was included on a list the U.S. Treasury Department published in January of Russian billionaires with ties to the Kremlin. Mail.Ru's large portfolio of companies includes an online gaming division. Mail.RU told CNN in a statement that it had launched approximately 20 Facebook games. The company said it acted in accordance with Facebook's terms and conditions and that it had not collected data on Facebook users, including Americans, other than to promote its "social games with social mechanics within Facebook." The company said American users account for no more than 5% of its Facebook app audience. Facebook CEO Mark Zuckerberg ordered an investigation into potential misuse of Facebook user data gathered through third-party apps a few days after the Cambridge Analytica story broke in March. "We have a responsibility to protect your data, and if we can't then we don't deserve to serve you. I've been working to understand exactly what happened and how to make sure this doesn't happen again," Zuckerberg said in a Facebook post at the time. An app developer working for Cambridge Analytica in 2014 built an online survey that gathered data on tens of millions of Americans, most of whom had never downloaded or taken the survey. Cambridge Analytica went on to work for Donald Trump's 2016 presidential campaign. The revelations came a few months after it emerged that the Internet Research Agency (IRA), a Russian government-linked troll group, posed as American activists on social media, including Facebook, in the run-up to the 2016 election and after. In April of this year, Facebook removed pages it said the IRA ran targeting Russian-speakers. Similar pages are still active on Vkontakte, a Russian social media network owned by the Mail.Ru Group. Despite Zuckerberg's pledge, Facebook's ability to determine how data on its users may have been stored is limited. Sandy Parakilas, a former Facebook employee who now works at the Center for Humane Technology told CNN, "Unfortunately there is no way for Facebook to know what happened to the data once it left its servers, so there's no way for them to know if there was any misuse of not." -- CNN's Jeremy Herb contributed reporting. Correction: This article originally misstated why Mail.Ru said it had collected data on Facebook users, which was to promote its "social games with social mechanics within Facebook."